DJ Larry Gee is not only a name but a brand that is experienced, professional, fun and totally satisfying. I provide extraordinary sound and lighting services that is guaranteed to meet your event needs. I play clean versions of the songs you want to hear. 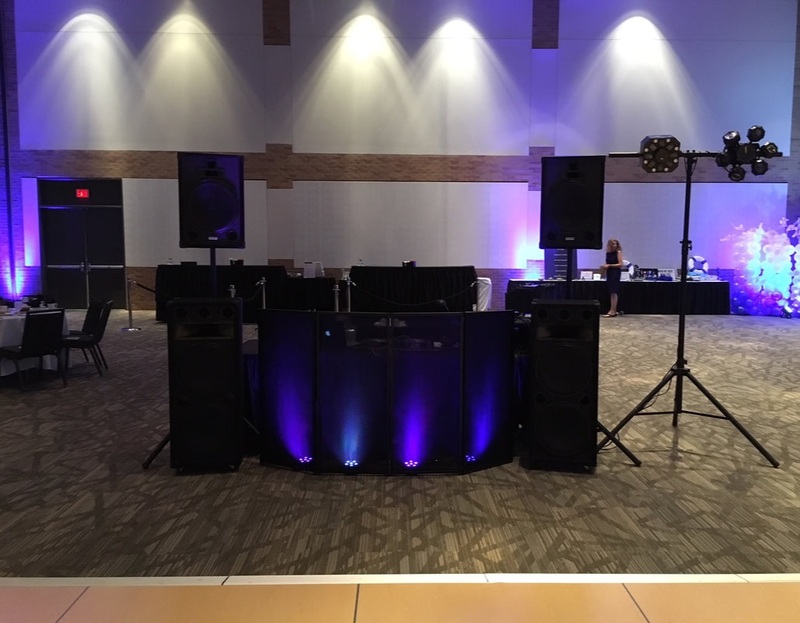 Many DJ's play a specific genre of music or they may not be skilled in the art of mixing but I specialize in playing and mixing a wide variety of music that keeps the crowd moving! "Larry was wonderful to work with! Larry was responsive from day one! The Event was to enhance the Gala Fundraiser put on by the Democratic Party of Collin County. We sent out for bids and received several. Larry's proposal offered a full light show as well as music that more than satisfied our budget. He was very responsive to our requests and well prepared from start to finish. When I checked references - they were totally positive and some went out of their way to call back and give Larry a great recommendation! I concur! He was flexible - as once all the tables (we had an overflow crowd) were added to the room, it impacted his pre-planned setup but he made it work! When we asked him for a specific genre or song he had it. He not only played great dinner music, when the time came to start the party Larry played a good mix of music for everyone. We look forward to working with DJ Larry Gee in the future!"